The Cagayan Economic Zone Authority (CEZA) — a governmental body of the Philippines that regulates the Cagayan Special Economic Zone and Freeport — aims to create in this area the new crypto valley of Asia. This crypto friendly jurisdiction has a designated self-regulatory organization, the Asia Blockchain and Crypto Association (ABACA), to help implement and enforce a new set of crypto asset regulations called the Digital Asset Token Offering (DATO), which check projects’ ethics and integrity. 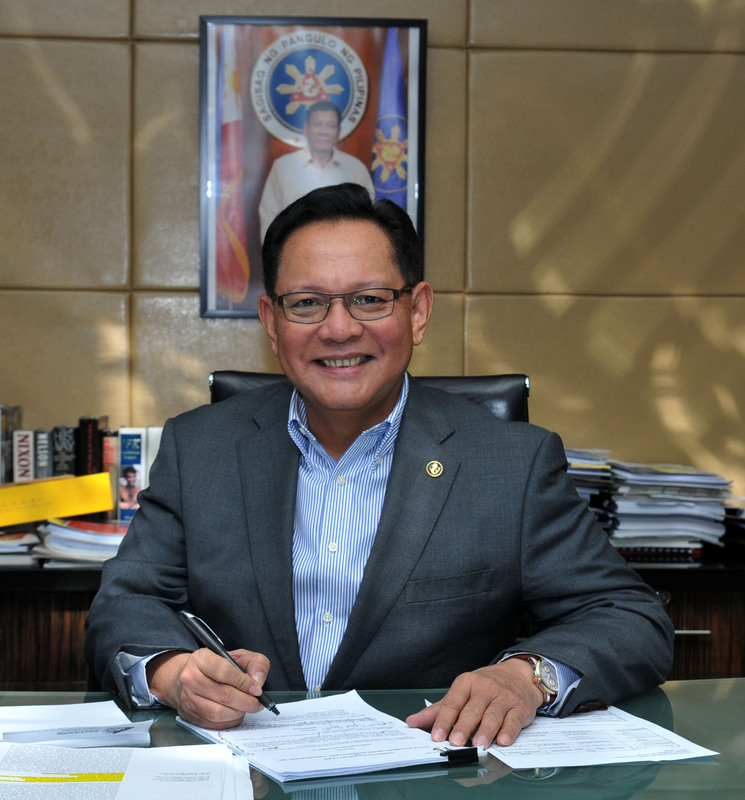 We spoke with CEZA administrator and CEO, Secretary Raul L. Lambino, to learn more about the CEZA and the implementation of DATO. 1. In February 2019, the Philippines issued a new regulatory framework governing Digital Asset Token Offering. How did it all start? What were the prerequisites and the first steps which led to DATO regulations issue? As part of its vision to create the Crypto Valley of Asia, CEZA wants to build a fintech ecosystem governed by rules and regulations that would foster growth for its licensees and protection of consumers. The DATO Rules was an offshoot of the promulgation of the Financial Technology Solutions and Offshore Virtual Currency Exchange Rules issued by CEZA last March 2018. The latter governs the licensing of FinTech companies, including offshore exchanges. Token offerings being a major revenue stream for exchanges, the DATO Rules provide guidance to exchanges and issuers of proper standards that would allow CEZA and its self regulatory organization (SRO) — ABACA — to review what and how tokens are circulated by these exchanges. 2. Why did you appoint ABACA to function as a self-regulatory organization and to assist in the implementation and enforcement of the new rules? Сould you specify which functions it will perform? ABACA is the business association of all licensees within the “fintech space” of CEZA — exchanges, fintech companies, service providers. This means that ABACA has first-hand knowledge of the market atmosphere, the needs of its participants/consumers, the latest technologies, whereas this is the challenge that every regulator faces. The SRO model in financial markets is proven effective because the SRO has the expertise in the industry that enables it to impose high ethical standards among its members, and exercise heightened supervision and surveillance, which can be fully funded by its members. With the DATO, specifically, ABACA is charged with reviewing the issuer’s offer document and the accreditation of service providers, including the Digital Asset Agent, the custodian (for asset-backed tokens), and wallet providers. CEZA, however, remains the ultimate regulator. ABACA’s purpose is to provide an extra layer of review and protection before tokens are issued out using the CEZA DATO Rules, which it then acts on a recommendatory capacity to enforce its mandates. 3. According to the document, digital assets refer to virtual currency, asset tokens, and/or utility tokens. DAs do not include electronic representations of value which are part of an affinity or rewards program or those used in online games or gaming platforms. Won’t it be tricky to tell the firsts from the lasts? What measures are taken to regulate gambling? On the one hand, CEZA recognizes that it has become more difficult to box a token based on its features. The key, we think, is in going through the offer document; apply, as much as possible, the definitions under the DATO Rules, of virtual currency, utility token, or asset-backed token, and decide what protections are needed on a case to case basis, especially in the first few months of implementing the DATO Rules. Eventually, CEZA and ABACA will learn more about what tokens are offered in the market, what works, what does not, and the regulation will become more consistent. This is why the fintech space operates in a Sandbox Regulatory approach. On the other hand, CEZA allows offshore online gaming but is governed by a separate set of rules. We understand the natural inclination to use tokens for online games or gaming platforms, but it would offer a new set of considerations in the face of various responsible gaming regulations. In all cases, however, strict anti-money laundering and counter-terrorism financing laws are in effect, and effective implementation measures — rules and technology-wise — are enforced and explored on an ongoing basis. 4. How much time will it take CEZA and/or SRO to review registration documents and to take a decision whether a DATO complies with the rules or not? We do not have a clear timetable on how long CEZA and ABACA can review the offer documents, primarily because it depends on how complex the offer document is and also because the DATO Rules have only been issued quite recently. 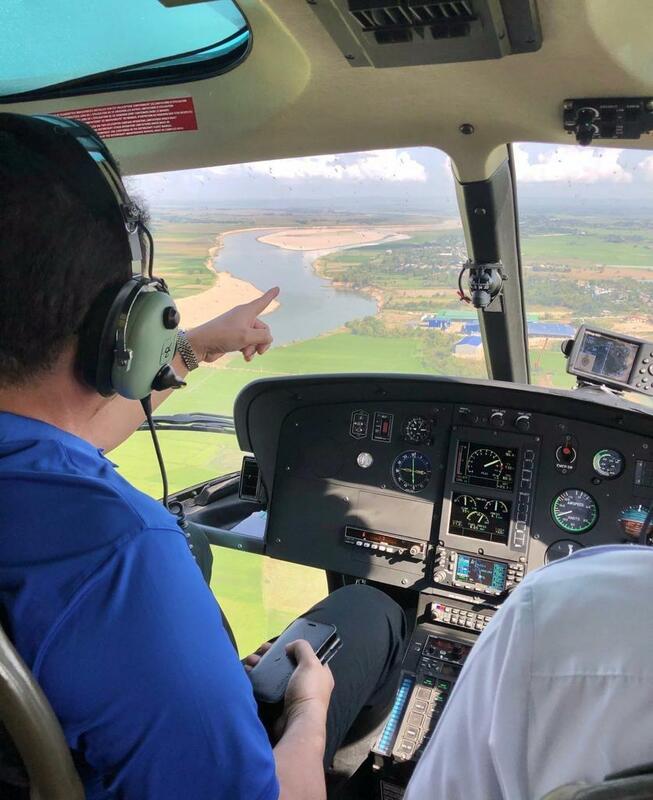 On its pilot phase, CEZA and ABACA will work hand-in-hand with the CEZA licensee and the issuer in order to make the process as swift but as thorough as possible. 5. What will be the registration fee? How will CEZA report on income? How will the money be disposed? For the initial implementation, only current licensees are allowed to undertake DATOs, as part of their license. In the future, CEZA may require specific registration fees, rest assured that it will not be a prohibitive amount. 6. Last year CEZA reported that its income in the first nine months of the 2018 grew by 212% higher than the same period last year. Do you expect a higher increase this year? CEZA’s record breaking growth in 2018 is hard to beat. To date, CEZA has filled in 23 of the 25 targeted principal licenses but majority of them applied in 2018. For 2019, we are hopeful that the DATO would create another set of revenue streams for CEZA, as we also encourage service providers and other technology solutions to come in to support the exchanges and the fintech ecosystem in the Zone. 7. Do you expect framework’s influence on GDP? How will it be estimated? Absolutely. As the exchanges start operating and tokens are offered through the DATO, we expect the country’s FDI to increase, which to some extent would impact positively on GDP, albeit issuers are limited to offshore companies and offshore investors. We expect demand for labour and capital expenditure as the exchanges fully set up their back office operations within the Zone. 8. How does this framework differ from those of Malta and Switzerland? Are there any remarkable advantages? There are several commonalities with the Malta legislation on virtual financial asset offerings, such as the need for the submission and review of a “white paper,” akin to the DATO’s “Offer Document”, the need of an “auditor,” similar to the DATO’s DA Agent, and many other provisions that protect the consumer and penalise the issuer for violations. However, in Malta, the legislation appears to apply only to ICOs, similar to Zug’s framework. The DATO allows asset-backed tokens. But if so, would require the issuer to provide evidence that it is not unlawful to offer such digital assets to persons in the jurisdiction where the issuer intends to offer or has offered such digital assets or other applicable jurisdictions, with respect to its DATO. 9. Was there any response from the global financial system after the introduction of new regulations? We believe the business sector, especially in the East and South East Asian regions, has responded positively based on the influx of inquiries that CEZA and ABACA have received. ABACA has recently signed with the Taiwan ROC Parliamentary Coalition for Blockchain, which is a cross-party consensus among the Taiwanese parliament and the duly recognised SRO for the fintech ecosystem in Taiwan, and another MOU with the Hong Kong Blockchain Association. As we expect DATOs to be global or at least regional in scope, one of the goals of both MOUs is to create common standards, rules and regulations, and share knowledge and information to harmonise policies within the region then globally. CEZA and ABACA also intend to collaborate with other jurisdictions outside Asia, like Malta, Gibraltar, Zug, Bermuda, as we all share the same objectives — to encourage growth of the industry, stabilise the financial system, and protect investors and consumers. 10. Last year the Philippines Senate discussed the possibility of increasing penalties for cryptocurrency crimes. Will new rules protect ordinary people from investing in fraudulent schemes, or is it still their own choice and responsibility? As far as CEZA regulation is concerned, investor protection is a primary concern for the enactment of the DATO Rules. It requires a DA Agent, similar to third-party advisor that is accountable for due diligence on the issuer’s representations, and an accredited custodian and auditor to ensure the existence, storage, and security of the assets. The insurance, accounting, and legal frameworks must be in place. Thus, the consumers or investors are given a substantial layer of protection against fraudulent schemes and improper use of technology by the Issuers. It implements a certain “double-regulation” policy wherein the Issuer is still required to comply with the laws/regulations of the jurisdiction to which it intends to offer Digital Assets—while remaining fully compliant with CEZA FTSOVCE Rules and the DATO Rules. 11. When will ICO regulation be issued? Why not ban ICOs like in China? 12. Which experts were involved in the drafting of the rules? The DATO Rules is a collaborative work product made through the efforts of tech practitioners, banking, finance, and securities experts, CEZA OVCE/exchange licensees, regulators, legal experts in the Philippines and globally, especially in Asia. The text itself was written in collaboration with globally recognized firms – UK firm Norton Rose Fulbright, and Australian firm Holley Nethercote. 13. What are the challenges in the rules implementation? What difficulties are you encountering right now? The ultimate test of regulation, especially in pioneer industries, is whether it would promote the development of the industry or would stifle its growth. The DATO Rules being trailblazing regulation will face this challenge but CEZA is confident that the level of regulation imposed by the Rules will stand this test because it was not written blindly but in response to the current needs of the market and projections of what lies ahead for this industry—all in consultation with many stakeholders in the industry, especially in Asia. 14. How will the tax system work for DATOs? Will it be possible to pay taxes in crypto? We cannot comment what tax regime any gain from DATO would fall under, as this is within the jurisdiction of the Philippine Bureau of Internal Revenue. With respect to corporate income tax, however, CEZA licensees are still to be taxed at 5% of their gross income in lieu of all national and local taxes, payable in fiat currency, pursuant to the Cagayan Special Economic Zone Act of 1995 (R.A. 7922). On the possibility of paying taxes in cryptocurrency, it will be up to the Bangko Sentral ng Pilipinas to accept cryptocurrency as legal tender that may be used for payment of taxes and other governmental duties. At this point, this has yet to come into fruition. 15. How do DATO regulations comply with US SEC policies? Will US citizens be able to invest in DATOs approved by CEZA? We cannot comment on whether the DATO Rules will comply with US SEC policies. The DATO Rules, however, provide that the issuer shall ensure that it complies with the laws and regulations applicable to the offer of DA to persons in any jurisdiction where it is considered to offer DA under the laws or regulations of that jurisdiction. Thus, and especially for countries like the United States, CEZA and ABACA will require evidence from the issuer that it is not unlawful to offer such DA to persons in the jurisdiction of investors. Although a few intriguing questions regarding taxes and SEC compliance have not, at this point in time, been resolved, some core characteristics of the Digital Asset Token Offering are clear. The regulations hold consumer protection from fraud and misuse as a core value. The Philippines are a strict jurisdiction, requiring third party advisors (DA agents), accredited custodians and auditors from crypto projects that apply for a license. In this sense it is quite similar to the Maltese jurisdiction, but with a wider scope, since it does not limit itself to regulating ICOs. This makes the Philippines an ideal jurisdiction to set up shop for those who don’t mind jumping through a few hoops, but uncomfortable for more private companies.